Channel 4’s current catchup service only offers access to programmes for 30 days after they broadcast, so releasing such a huge number of older titles is a significant development, and one that may put pressure on the BBC (who only offer programmes via its iPlayer service for seven days after airing). 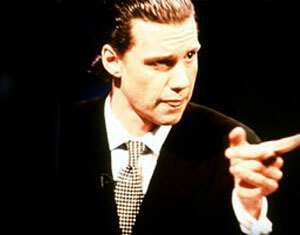 There’ll be some real tasty programmes to delve into too, with the entire series of the awesome Brass Eye being made available, along with popular programs like Queer As Folk, Shameless, Vic Reeves Big Night Out, Ali G and Teachers. Also dredged up from the archives will be a slew of lifestyle and property shows such as Location, Location, Location and Grand Designs, some of which are already looking quaint in a post- recession world. Soap fans will be served up the “most important storylines” from the long-gone Brookside, including the ‘body under the patio’ plot and the phwooar-inducing first lesbian snog to be shown before the 9pm watershed, with Anna Friel’s ‘Beth Jordache’ character, getting jiggy with with ‘Margaret Clemence’, played by Nicola Stephenson, for a full eight seconds in 1993. Not all of Channel 4’s content will not be made available online due to rights or legal issues, so there’ll be no US shows like as Friends or Channel 4 News content.